Cowen Group has finalised the integration of the Convergex prime brokerage business, and aims to expand its prime services and outsourced trade offerings to emerging fund managers. The New York-based financial services group agreed to buy brokerage Convergex in April for $116 million. It has since aimed to consolidate its prime services and trading divisions, and has named Douglas Nelson and Michael DeJarnette as co-heads of US prime brokerage services. It is now building out its outsourced trading solution for hedge funds and emerging managers, as mid-tier prime brokers such as Cowen continues to take a larger chunk of market share. “With the integration complete and the adoption of the best practices of each organization, we are further distinguishing our offering to emerging funds and positioning the firm’s comprehensive solutions as a credible alternative for more established investment managers,” said Jack Seibald, global co-head of prime brokerage services, Cowen Group. It has been widely reported on that the hedge fund industry is facing heightened pressures from allocators to turn a profit. Allocators are now far more aggressive in terms of negotiating the structures in which they allocate to the fund, as well as demanding a review of the traditional fee structure. 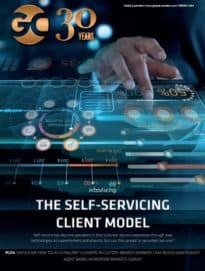 This is driving hedge fund managers to look for the service provider that brings most value, and delivers alternative solutions to help them navigate the challenging hedge fund landscape. Mid-tier prime brokers have thrived on this, offering flexible, high-tech solutions for hedge funds to outsource more of their operations. Speaking to Global Custodian earlier this year, Seibald highlighted how its outsourced trading, in which Cowen acts as the clients’ trader facing sell-side participants, has been its fastest growing business. “Outsourced trading is something none of the bulge bracket firms offer, and in fact, the vast majority of our clients for this service are primed with one of the big brokers,” he said.